Fort Lauderdale, FL (April 30, 2018) – Fort Lauderdale Housing Authority (HACFL) and the Fort Lauderdale Historical Society (FLHS) have partnered with Refresh Live’s Chef Chad Cherry to launch the inaugural Fort Lauderdale Culinary Experience at New River Inn (located at 231 SW 2nd Avenue, Fort Lauderdale) on Tuesday, May 1st from 4 p.m. to 8 p.m. The Fort Lauderdale Culinary Experience is a free, after-hours, live culinary demonstration that will feature local produce grown in Northwest Gardens’ community garden. Refresh Live is a food, education, and lifestyle company, dedicated to refreshing people’s relationship, knowledge, and experience with healthier food. 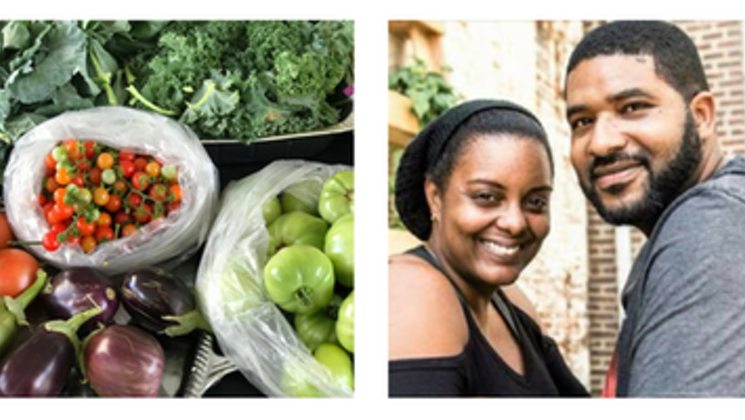 They provide farm-to-table and organic lifestyle community education; programs to combat food disparity in income-challenged neighborhoods; a young-adult entrepreneurship apprenticeship program; and culinary and catering support for non-profit organizations. Northwest Gardens features six community gardens and, through an alliance with the YMCA of South Florida and other agencies, residents are engaged in numerous programs. These programs include chef-based classes covering healthy food shopping, preparation, and coupon clipping; the Sistrunk Healthy Community Zone; homeownership education courses; free GED classes; and ‘Artists in Residence’ programs where artists are nurtured and encouraged to develop their creativity into marketable work. In February 2018, FLHS partnered with HACFL’s StepUP Apprenticeship Program to restore the New River Inn. This partnership provides apprentices a unique opportunity to enhance their construction skills on historical restoration, as well as expand their professional portfolio. As a result, StepUP apprentices will perform additional restoration work building windows, painting, basic plumbing, and general building maintenance on six FLHS buildings. For more information about the Fort Lauderdale Culinary Experience contact Rebekah Bibee at rebekah@theideainc.com. To learn more about the Housing Authority of the City of Fort Lauderdale, visit www.hacfl.com or call (954) 556-4100. The Housing Authority has been committed to safe, decent, and affordable housing to low-income residents in Broward County since 1928 and currently manages approximately 95 public housing units, 170 affordable housing units, 945 tax credit units, and administers over 3,100 housing choice vouchers. In addition to offering affordable rental housing and several public housing sites, the Housing Authority administers numerous programs, such as the Family Self-Sufficient Program, the Housing Choice Voucher Homeownership Program, and the Step-Up Apprenticeship Initiative, to promote self-sufficiency and economic opportunity for Broward County Residents. For additional information about the programs, please call Scott Strawbridge, (954) 556-4100, x. 1406. The Mosaic Group is a full-service events management, marketing and public relations firm, which employ experienced specialists to make any event, campaign and community involvement effort successful. Our clients are organizations that are interested in diversification, increasing their visibility in the community and developing mass marketing opportunities.